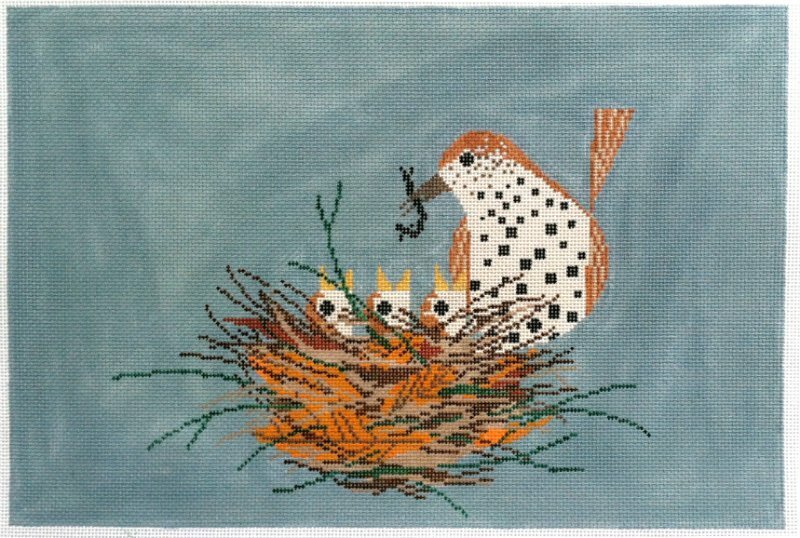 A Charley Harper needlepoint called Chorus Line HC-C304. 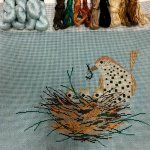 This easy to stitch needlepoint design features a lovely blue/grey background and a bird feeding her line up of chicks. The needlepoint design area measures approximately 12" x 8.5" and is hand painted onto 18 mesh canvas. It is sold canvas-only, or with your choice of threads. Use the drop-down menu to make your selection and see prices. We use DMC cotton floss, or Bella Lusso wool, or Pepperpot silk fibers.